According to Ayurveda, the two most important pillars of good health are diet and digestion. Add proper sleep and you’ve got a very simple template for creating health and vitality. What you eat and how your body processes what you eat are key factors in determining not just your level of health, immunity, but also our emotional mindset. In addition, according to Ayurveda, if we are not able to properly digest our food, either because of the poor quality of the food we are eating or because of the poor quality of our digestive fire, a sticky toxin (ama) is created that gets absorbed into the body and ends up building up in the joints and tissues, blocking the proper circulation of nutrition and information to those areas. Ama can also trigger an immune response, leading to disorders such as chronic fatigue, asthma, and psoriasis. DON’T bolt from the table immediately after finishing your meal. Sit quietly for a few minutes so that your body can settle into its digestive rhythm. Sweet, sour, salty, pungent, bitter and astringent. Each taste satisfies a different need. Missing one or more of the tastes can result in cravings. DO drink plenty of warm or room temperature water throughout the day (although during meals you should only sip water moderately.) Sipping water during the day helps keep the digestive tract flushed of accumulated toxins. Red meat, leftovers, processed foods and deep-fried foods are either hard to digest or lack energy-giving freshness, and will sit in your digestive tract causing toxins to accumulate. DO favor light, nutritious foods. Fill up on sweet, juicy fruits and vegetables. The fresher and purer the produce, the better. Cold drinks and foods douse the digestive fire. An Ayurveda expert can determine your individual mind/body balance and pinpoint any areas of imbalance. An individualized diet and routine will help address imbalances and put you back on the road to health. 10 DO have regular Panchakarma treatments. Panchakarma, the traditional purification and detoxification treatments of Ayurveda help remove accumulated toxins while nourishing the physiology. According to Ayurveda, good digestion is the key to good health. When one’s digestion has been compromised, a light diet is often a recommended step in helping to get agni (the digestive “fire”) back in working order. Recently someone expressed concern about adopting this light diet. His concert was that he did not want to lose weight or increase Vata, which was already out of balance. Eating light does not necessarily mean eating less—it means eating substantial quantities of lighter foods. Foundational to Ayurveda’s dietary advice is becoming attuned to your body’s signals. If your body is telling you that it is hungry, you need to eat. Otherwise, your agni (digestive fire), not having any food to digest, will start to digest your bodily tissues and you will lose weight. If you are trying to maintain a constant weight, eat when you feel hungry, even if the sensation is not very strong. As you become more and more balanced, that feeling of hunger should begin to appear at mealtimes, especially at noon when your digestion is naturally stronger. And over time, you’ll find that at each mealtime you will have developed an appetite that suits your ability to digest and that maintains your weight. Your ability to digest will be helped by a regular exercise program. Of course when the advice is given to eat when hungry, this means to eat fresh, pure foods. Ayurveda recommends foods that are abundant in prana — the universal life-force that gives life to all life. These would include organic fresh fruits and vegetables, nuts, seeds, whole grains and healthy oils. Foods such as canned and processed food, foods prepared with chemical fertilizers or sprays, and left-over foods would not be considered foods that contain “life-force”. To increase muscle mass, favor fleshy fruits like raisins, dates, figs and mangoes, all of which specifically nourish muscle tissue. Also helpful for digestion is lassi, a drink made from freshly prepared yogurt mixed with water. You can add sweetener and spices such as cardamom to taste. Amaranth, Barley, Buckwheat, Bulgur, Millet, Quinoa, Rice: Basmati, Brown and Wild Rice. While many of us put great thought into choosing healthy foods to eat, consideration of our ability to digest our meals is less common. Ayurveda considers good digestion to be central to our health. The best way to maximize the health-promoting benefits of the food we eat is to increase our digestive power. How do we know if our digestion is working well? One of the easiest ways to judge the strength of our digestion is to notice how we feel after eating. If we feel light and comfortable after eating a full meal, the chances are good that we are processing our food well. Why does Ayurveda consider a strong digestion to be so important? Our agni, or digestive power, must be strong in order to metabolize our food properly. When agni is strong, the body processes food efficiently, distributes the necessary nutrients to every cell, and burns off and eliminates waste products without leaving any toxins behind. If our agni is weak, we don’t completely metabolize the food that we take in. The end product of partially digested food is a sticky, noxious residue that Ayurveda calls ama (impurities). When ama is absorbed into our body it blocks the channels of the body, inhibiting the normal functioning of Vata, Pitta and Kapha — the three governing principles of the physiology. One example of ama is the cellular debris that has been observed by Western medicine to build up over time in our body’s cells. This waste material impairs cellular functions and accelerates aging. It could even be a factor in causing the DNA to make mistakes, an etiological component in most cancers. Because ama contributes to the early stages of many diseases, Ayurveda considers keeping our agni strong and our digestion healthy to be an essential component of prevention. Other signs that your agni needs attention include bad breath and digestive complaints such as constipation or diarrhea. Eat a “ginger pickle” before meals. Slice thin pieces of fresh ginger root, then sprinkle with lemon juice and salt. Eat a few pieces several minutes before your meal. Sip hot water throughout the day. Avoid cold or (worse) iced beverages. Get regular exercise. If you feel sleeping during the day, it is better to take a brisk, 30-minute walk rather than indulge in a daytime nap. Always eat sitting down and remain sitting for 10 minutes after you have finished your meal. The traditional Ayurveda detoxification treatments, Panchakarma, offered at The Raj help dislodge toxins from the cells and flush out the ama that has been lodges in the system. The recommendations for diet and daily routine given by the Ayurveda experts will help prevent future accumulation of ama. Our agni, or digestive power, must be strong in order to metabolize our food properly. When agni is strong, the body processes food efficiently, distributes all the necessary nutrients to every cell, and burns off and eliminates waste products without leaving any toxins behind. If our agni is weak, it doesn’t completely metabolize the food that we take in. The end product of partially digested food is a sticky, noxious residue that Ayurveda calls ama (impurities). When ama is absorbed into our body it blocks the channels of the body, inhibiting the normal functioning of Vata, Pitta and Kapha — the three governing principles of the physiology. One example of ama is the cellular debris that has been observed by Western medicine to build up over time in all our body’s cells. The waste material impairs cellular functions and accelerates aging. It could even be a factor in causing the DNA to make mistakes, an etiological component in most cancers. Because ama contributes to the early stages of many diseases,Ayurveda considers keeping our agni strong and our digestion healthy to be an essential component of prevention. Lassi is a traditional Ayurvedic drink that aids digestion. Made from yogurt, water, and spices, it is good for all mind-body types. It is best to drink lassi after you have finished your main meal at lunchtime. Remember that the increase of Pitta in our environment and in our body during the summer causes our own internal fire of digestion to become diminished. The Pitta-pacifying influence of roses and the digestion-enhancing quality of lassi makes this drink the perfect summertime refresher. Blend ingredients in a blender until frothy. Serve immediately and enjoy. As an alternative to Rose Petal Lassi, try the traditional Digestive Lassi served at The Raj Ayurveda Health Spa. Blend all the ingredients and drink it after your meal. Yogurt in and of itself is not recommended in the summer because it aggravates Pitta. When made into lassi, however, yogurt’s Pitta qualities enhance digestion without increasing Pitta elsewhere in the body. Store-bought yogurt is more sour and Pitta-aggravating than homemade yogurt. For this reason, fresh yogurt is ideal for making lassi. Convenient yogurt makers are widely available in stores. Or you can make it easily with what you already have in your kitchen. Heat 1 quart of milk to 185-195 degrees. Take the pot off the stove and let it cool for a bit. Then place it in a sink filled with cool water until the milk cools to 120-115 degrees. Once the milk cools to 120°-115°, add plain yogurt as a starter (1/4 cup). Do not use Greek yogurt. Mix well. Pour milk with starter into a sterilized quart-sized canning jar. Place the yogurt in a warm place and leave it undisturbed for 10 to 12 hours. Wrap the jar with a towel if your house is cool. Some people turn their oven on to 200° for about 5 minutes, turn off the oven and put the towel-wrapped yogurt in the oven with the oven light on. Others prefer to put their yogurt in a cooler filled with 120° water and close the lid. Make sure the water comes to the top third of the jar. Another approach is to wrap the towel-wrapped jar in a heating pad set to “high”. Refrigerate your yogurt for at least 3 hours before eating. Poor digestion, being overweight, excess gas and bloating are all problems that can be triggered by poor eating habits. At The Raj Ayurveda Health Spa, what is taken into account is not only what you eat but also how you eat. Self-Referral Eating means being aware of what you are doing during each meal. Research shows that eating too quickly can lead to weight gain. If we eat too quickly, we race so far ahead of the mechanisms in our gut that tell us we are full that we end up overeating. While you are eating, focus on what you are doing and how the food tastes — avoid distractions like reading, watching TV, and engaging in intense discussions. Try eating in silence for a few days to practice being consciously aware while eating. Chew your food well. Healthy digestion and nutrient absorption begins with proper chewing. Chewing triggers the release of digestive enzymes that help your body break down food so that it can be converted into energy. Chewing also helps break down your food into smaller particles, which can be more easily digested. Large, undigested particles of food can not be processed by the small intestine. They either travel through undigested or seep through fissures in the intestinal lining (leaky gut syndrome) and enter the bloodstream, triggering food allergies and other intolerances. Sip warm water during your meal. This helps your food to be more easily processed. Put down your eating utensils after each bite and focus on chewing. Don’t wait until you are starving or you may find that your hunger will overtake your commitment to eating with full attention. Eating is one of the great pleasures of life. Take time to savor the tastes and smells of the food. Inhaling your food without savoring the aroma does not lead to a satisfying experience. Digestion begins in the brain. Before you have even taken your first bite, the body begins to release enzymes needed for digestion. This is why your mouth waters at the smell of food. Always sit when you eat. Never eat standing up. Make sure that everything you need is on the table before you sit down so that you can remain seated and relaxed throughout your meal. If you have trouble telling whether you are full or not, stop sometimes during the meal, put your hand on your stomach and ask yourself, “Do I feel full or not?” The goal is to reconnectc your awareness with what is going on in the digestive system. The Raj offers targeted programs to address colitis, constipation, gastritis and weight loss. Contact The Raj Health Office for more information. In the daily drama of digestion, the two main players are Agni and Ama. 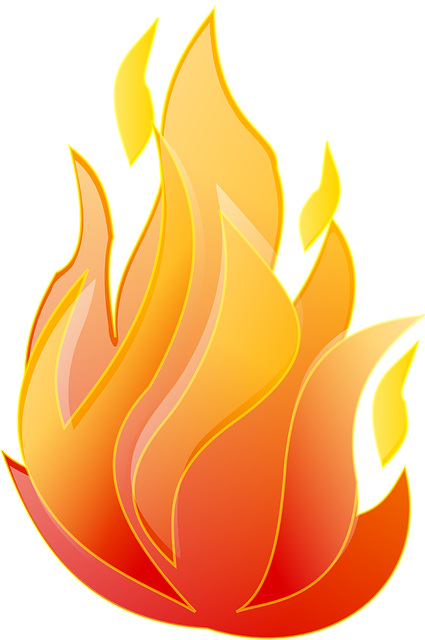 Agni, the digestive fire, takes the role of hero in the story. When Agni is burning brightly and steadily, then digestion takes place normally. When Agni s diminished for any reason, then the villain, Ama, starts to collect in the digestive tract. Ama has opposite qualities of the firey agni. Cold and sticky, a toxic waste product of incomplete digestion, Ama collects in the tissues and creates imbalance wherever it spreads. Two other factors are critical to the digestive process: the quality of the food and the way it is eaten. Even if a person had strong Agni, Ama could still be created if the person eats the wrong kind of food or eats in a hurried, unsettled manner. Good digestion is central to health. Many diseases may arise from poor digestion. When Agni is low and the food is not prepared and eaten properly, then Ama collects in the digestive tract and travels to other areas of the body where it forms the basis for the disease process. Lowered immunity, aching muscles and joints, arthritis, and fatigue may indicate a build-up of Ama. When Agni is at a normal level, it tends to burns up Ama, creating a state of balance throughout the entire system. And when digestion is functioning flawlessly, Ojas, the final product of digestion, gets created. Ojas is the finest material aspect of the body—the link between consciousness and matter. (We’ll talk more about Ojas next week.) Ojas is responsible for establishing and maintaining balance in the mind/body system. The more Ojas your body produces, the greater your health, immunity, and happiness. 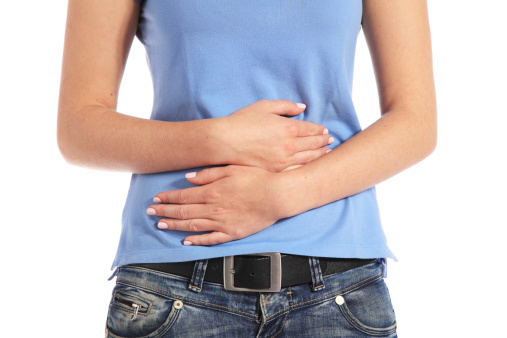 How can you tell if your digestion is running smoothly? One of the main ways to tell is how you feel after eating. A feeling of dullness, heaviness, and fatigue after meals, or symptoms such as gas or bloating, usually indicate poor digestion. On the other hand, if you feel lightness and bliss after eating, you’re probably producing Ojas. Another way to tell if your digestion is in good shape is by how your tongue looks in the morning. Ama tends to collect on the tongue, and if the tongue is heavily coated, it is a sign that Ama is present elsewhere in the body. If the tongue is pink and clear, then digestion is probably functioning well. Other signs of improper digestion are bad breath, body odor, constipation, or diarrhea.